For 15 years, Robert Barron created masks for the Central Intelligence Agency, helping agents disappear into the shadows. Since his retirement in 1993, he has used his talent for a different purpose: bringing men, women and children disfigured by trauma, disease and congenital defects out from hiding. 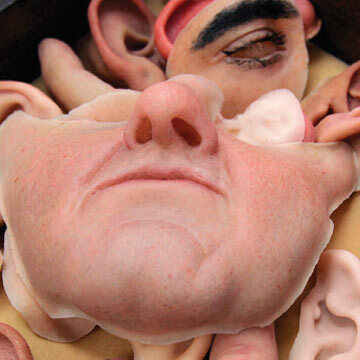 Made of silicone and painstakingly hand painted, Barron’s removable prosthetic ears, noses, fingers and faces—held in place by magnets, adhesives or screws—are nothing short of transformational.